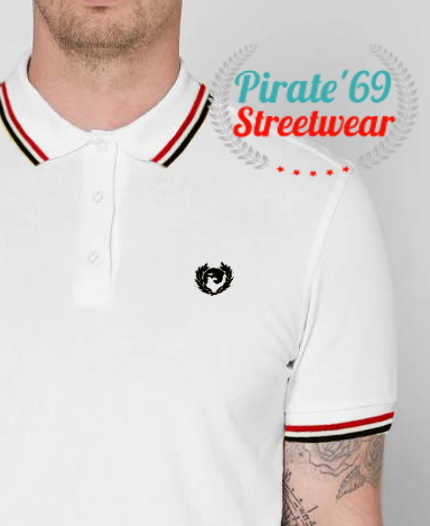 Pirate 69 Streetwear, Ben Sherman, Fred Perry t-shirts, polo shirts. 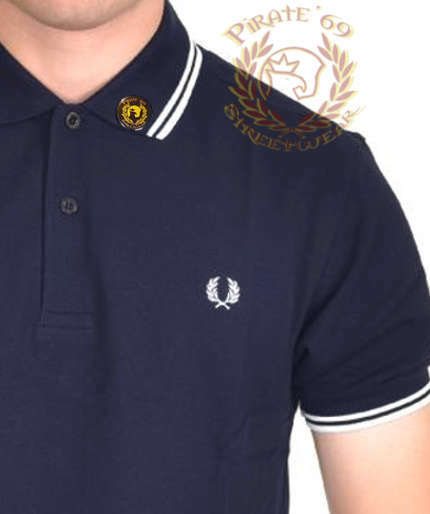 Affordable Fred perry polos. NEW STOCK. 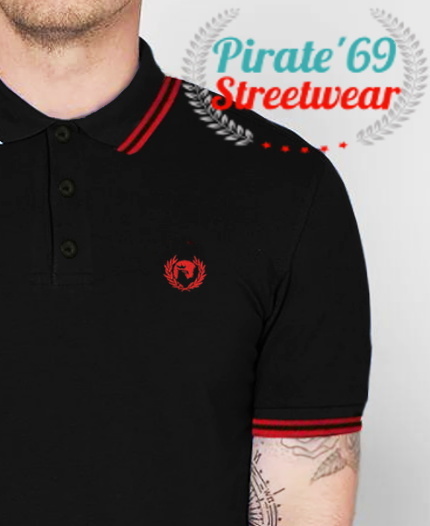 New Pirate 69 Hawk Wreath Skinhead Polo Shirt. White with Red and Black Trim, THREE-button cotton-blend. NEW STOCK. New Pirate 69 Hawk Wreath Skinhead Polo Shirt. Burgundy with Mustard Yellow/Black Trim, THREE-button cotton-blend. NEW SUMMER ARRIVALS. 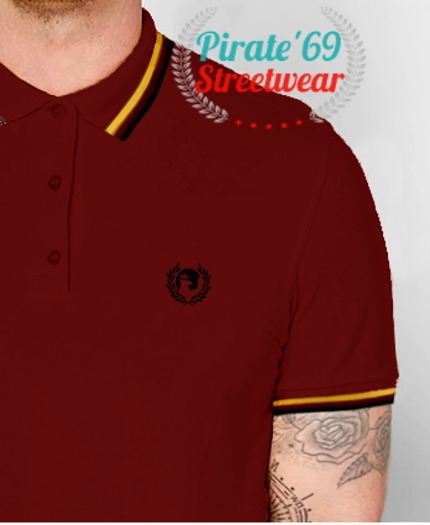 New Pirate 69 Hawk Wreath Skinhead Polo Shirt. 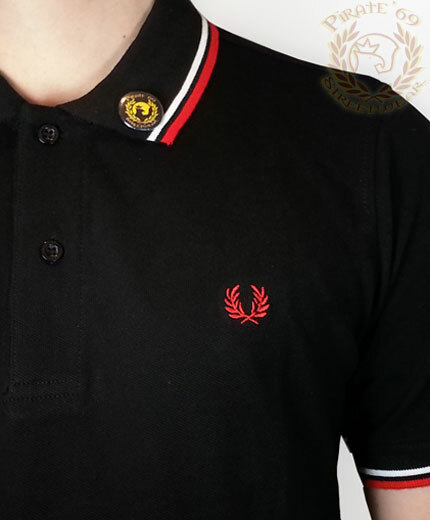 Black with Red/White Trim, THREE-button cotton-blend. JAMAICA SKA STOCK. 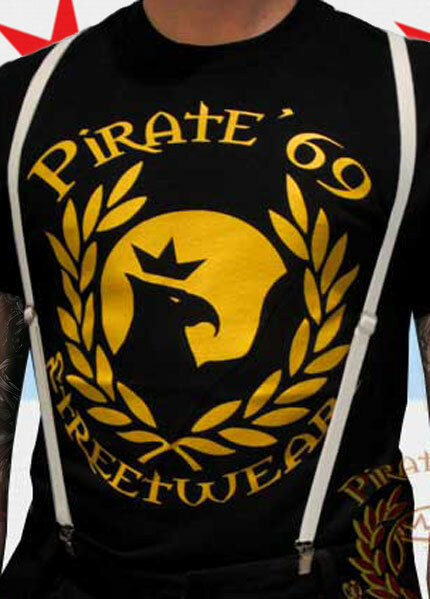 New Pirate 69 Hawk Wreath Skinhead Polo Shirt. Black with Yellow and Green Ska Checkers, two-button cotton-blend. Size XXXL ==> Sold Out! JAMAICA SKA STOCK. 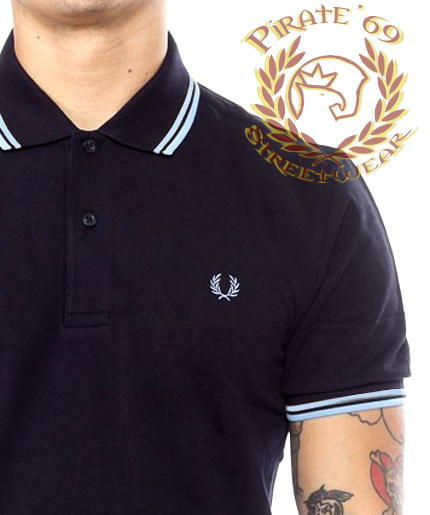 New Pirate 69 Hawk Wreath Skinhead Polo Shirt, two-button cotton-blend. Black with White Ska Checkers. NEW SUMMER ARRIVALS. 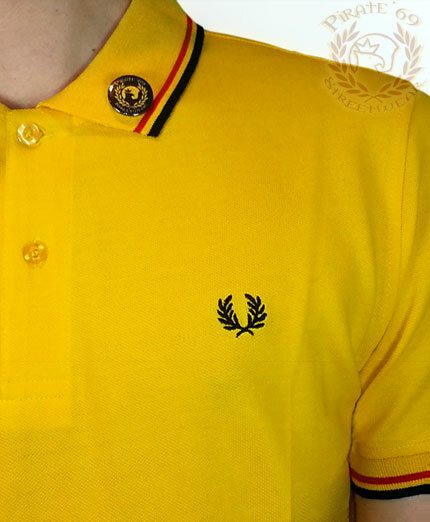 New Pirate 69 Hawk Wreath Skinhead Polo Shirt. 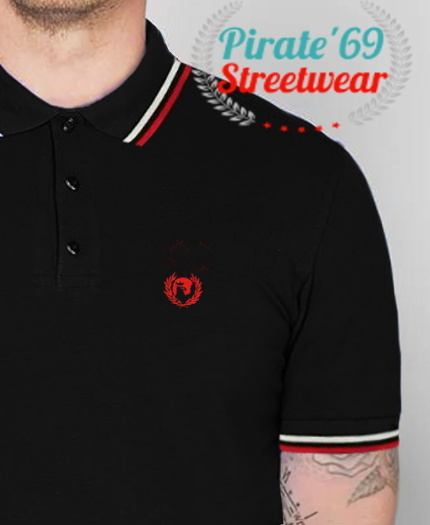 Twin Tipped Black with Dark Red, THREE-button cotton-blend. 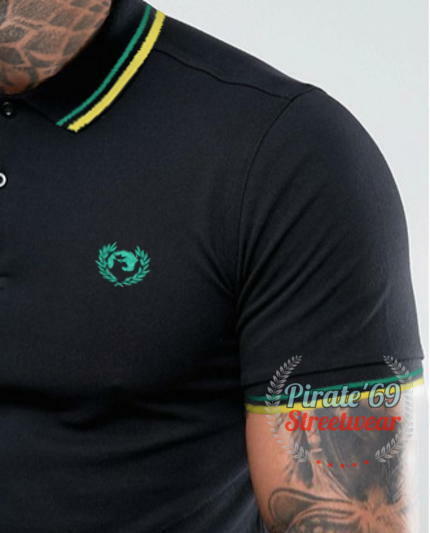 New Pirate 69 Hawk Wreath Skinhead Polo Shirt. 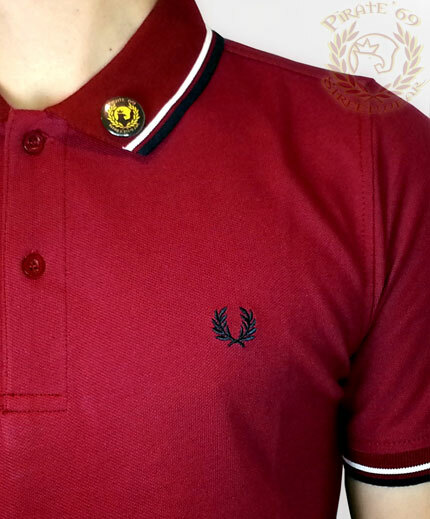 BUrgundy with Sky/White twin tipped, two-button cotton-blend. 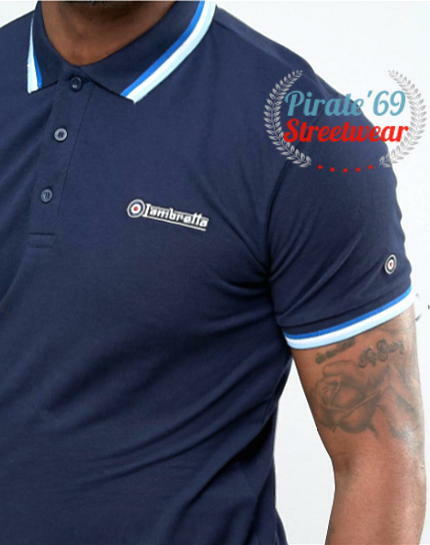 New Pirate 69 Two-Tone, Tipped Oxford Weave Polo in Navy/White, two-button cotton-blend. JAMAICA SKA STOCK. 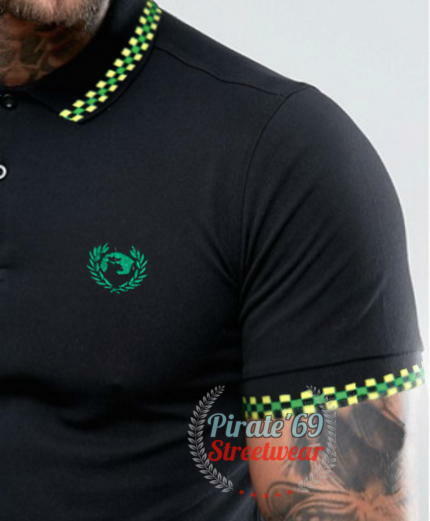 New Pirate 69 Hawk Wreath Skinhead Twin Tipped Polo Shirt. 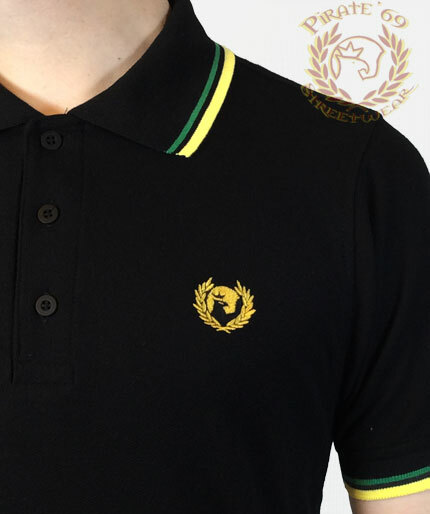 Black with Yellow and Green, two-button cotton-blend, two-button cotton-blend. 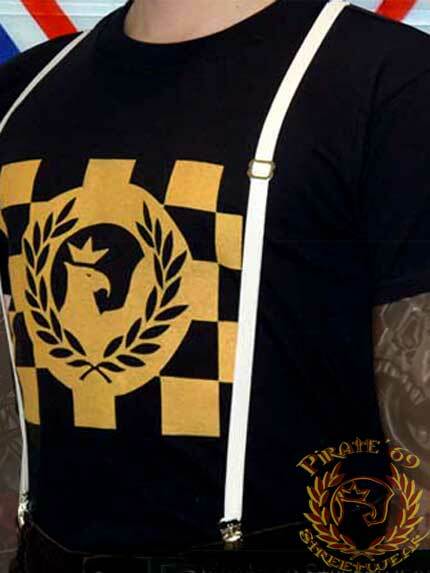 New Pirate 69 Hawk Wreath Skinhead Twin Tipped, Three Button Polo Shirt. Burgundy with Golden Yellow. 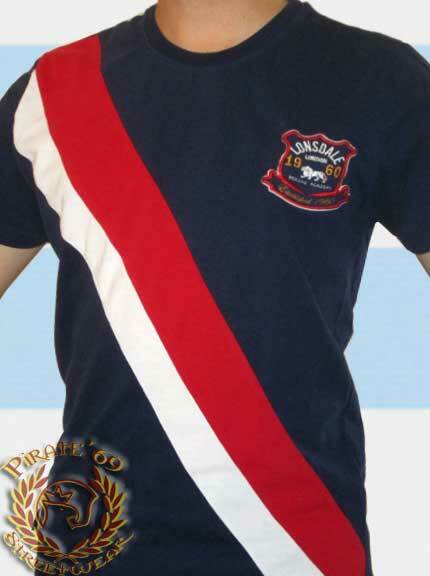 Traditional Fit, Lightweight Polycotton. 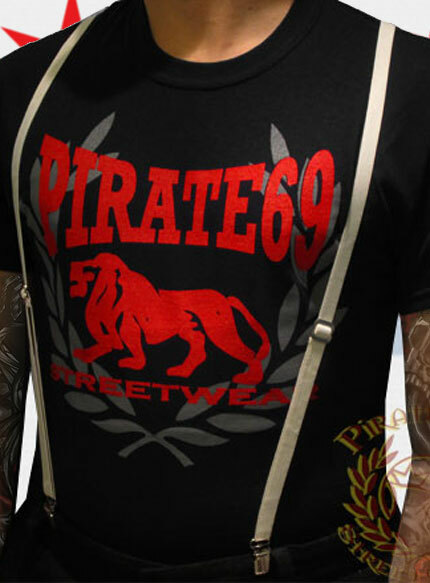 New Pirate 69 Hawk Wreath Skinhead Twin Tipped, Three Button Polo Shirt. Green/Red/White. 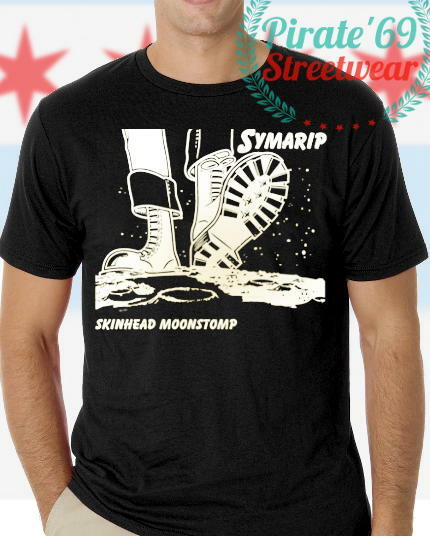 Traditional Fit, Lightweight Polycotton. 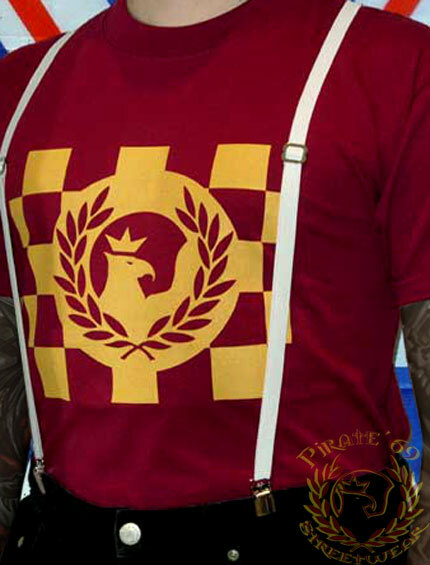 New Pirate 69 Hawk Wreath Skinhead Twin Tipped, Three Button Polo Shirt. Black/Red/Yellow. Traditional Fit, Lightweight Polycotton. 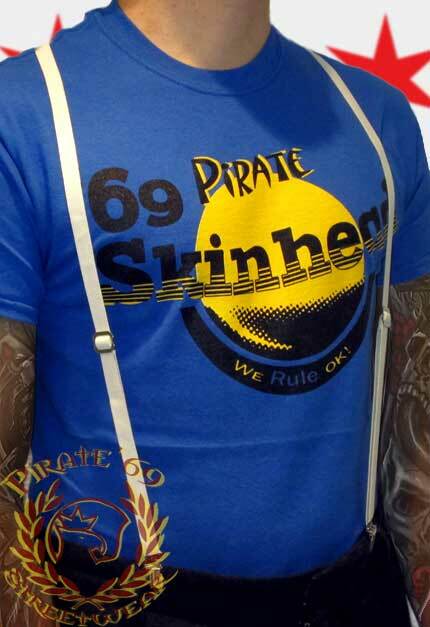 New Pirate 69 Hawk Wreath Skinhead Twin Tipped, Three Button Polo Shirt. 'Jamaica' Black with Green and Yellow. Heavyweight cotton. Size M ==> Sold Out! Size XL ==> Sold Out! Size XXL ==> Sold Out! 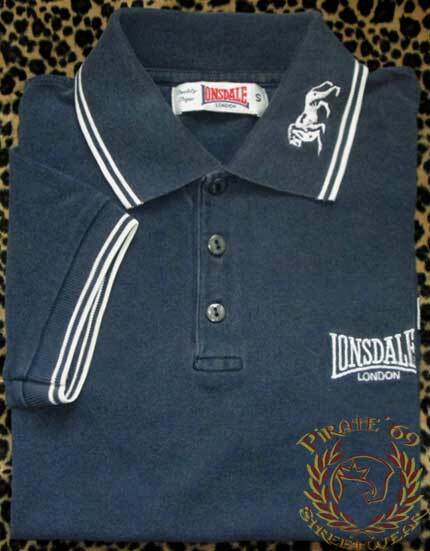 New Pirate 69 Hawk Wreath Skinhead Twin Tipped, Three Button Polo Shirt. Black with Red and White. Heavyweight Cotton. 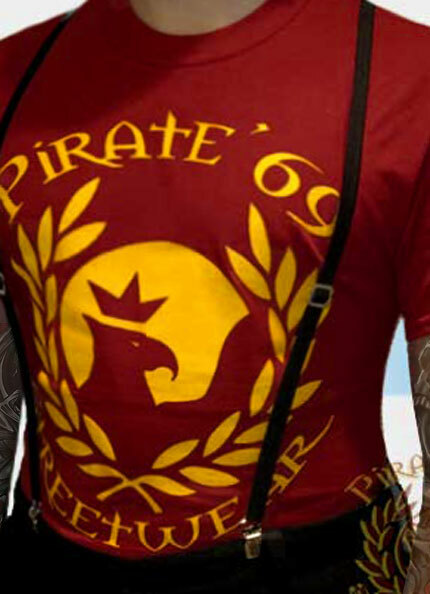 New Pirate 69 Hawk Wreath Skinhead Twin Tipped, Polo Shirt. 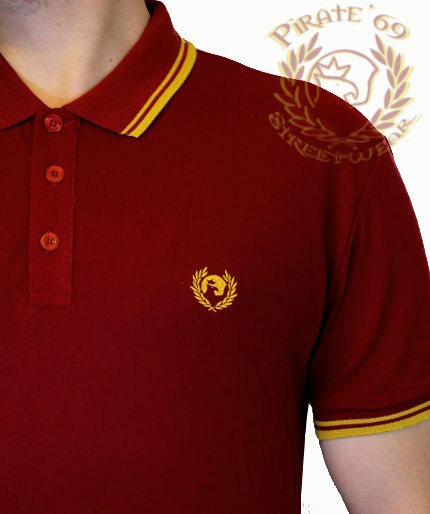 Burgundy with Black collar and Gold details. Heavyweight Cotton. 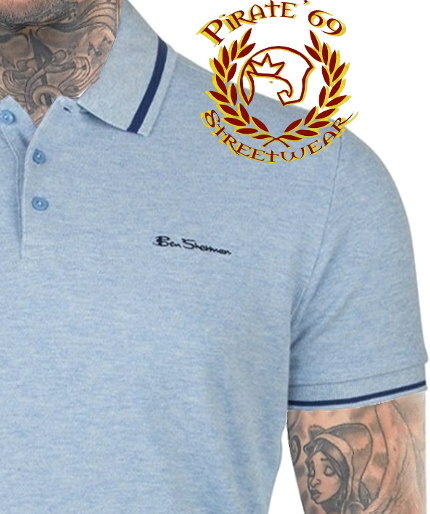 NEW Ben Sherman pique polo shirt with tipped collar and sleeves. Embroidered branding. Sky blue marl. New, Made in England M12 twin tipped cotton piqu� shirt by Fred Perry. Maroon / White / Ice. 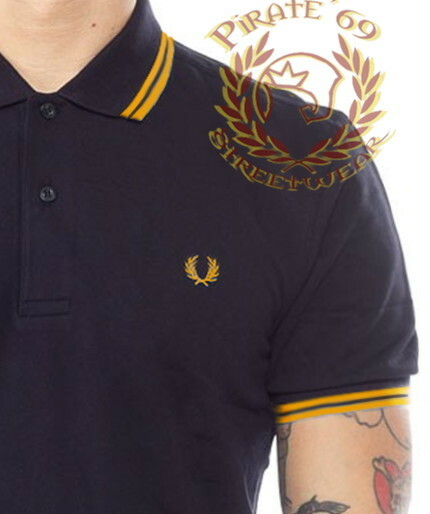 New, Made in England M12 twin tipped cotton piqu� shirt by Fred Perry. Black / White / Bright Red. 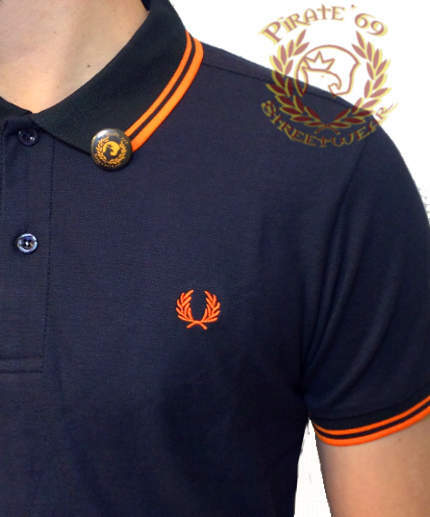 New, Made in England M12 twin tipped cotton piqu� shirt by Fred Perry. Black / Yellow / Yellow. 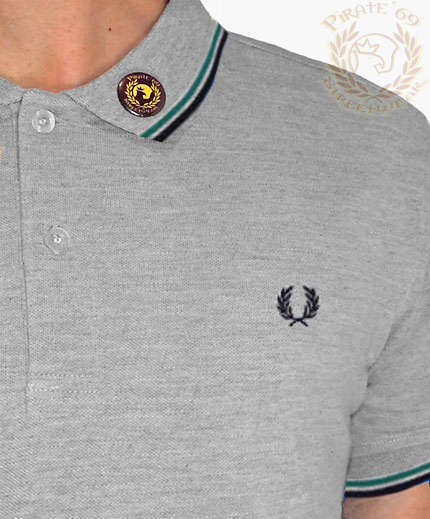 New, Made in England M12 twin tipped cotton piqu� shirt by Fred Perry. Navy / Sky / Sky. 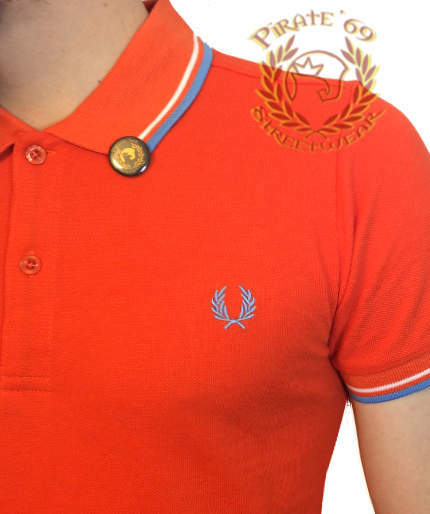 Fred Perry cotton piqu� polo shirt. 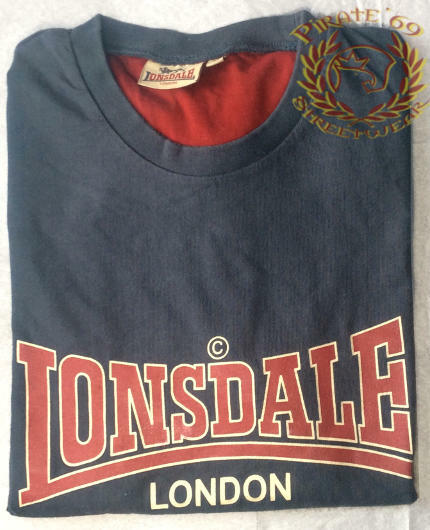 Oxblood / Sky Gray, size XXL. Very good preowned condition (across chest 25.5''). 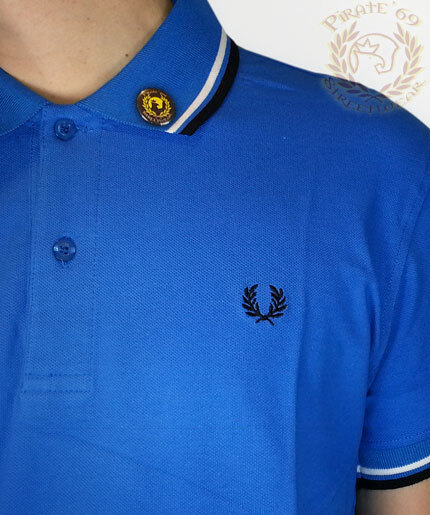 Merc London cotton piqu� polo shirt. 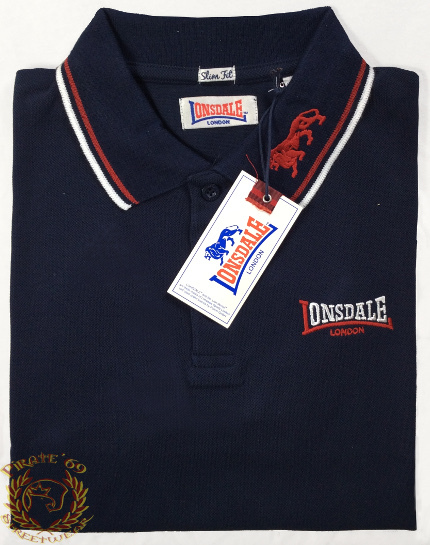 Khaki with navy blue collar and white contrsat trim, size XL (across chest 22.5''). As new. 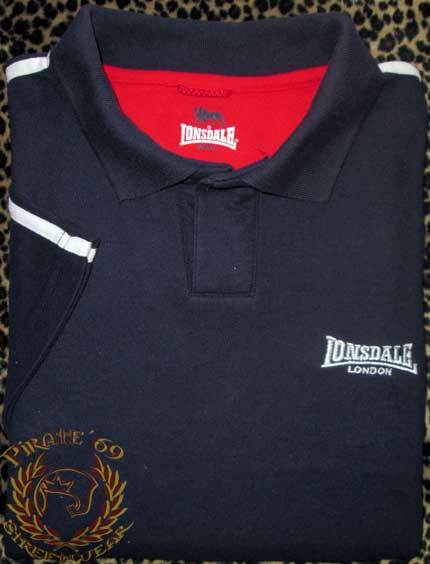 New Lambretta Triple Tip Polo in Navy Color with Blue, White and Ice Tipping. 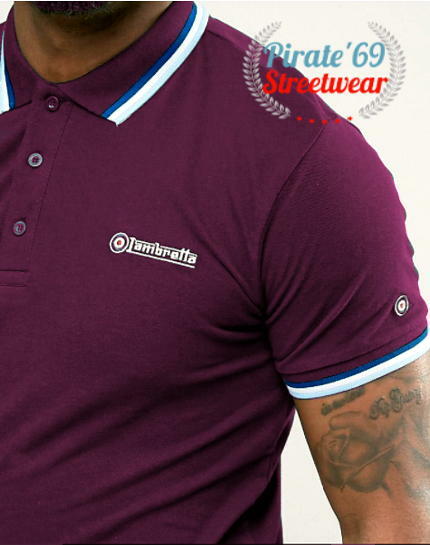 New Lambretta Triple Tip Polo in Plum Color with Navy, White and Blue Tipping. 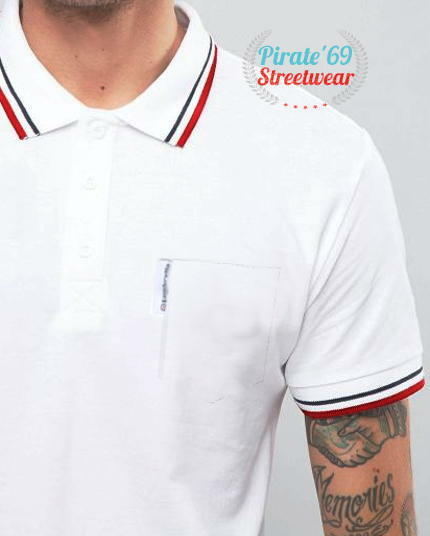 New Lambretta Twin Tip Pique Polo Shirt in White Color with Red/Navy and front pocket. 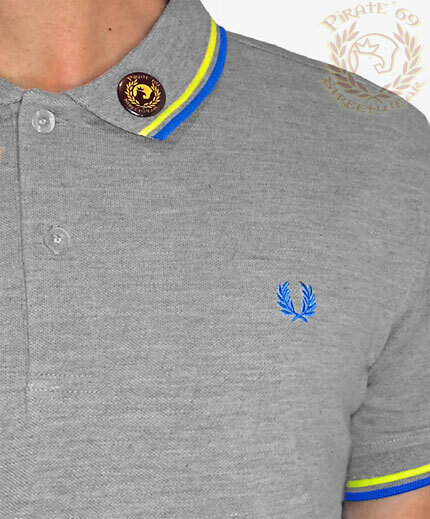 New M3600 SLIM FIT Twin Tipped Fred Perry polo shirt, Gray with blue and yellow piping. 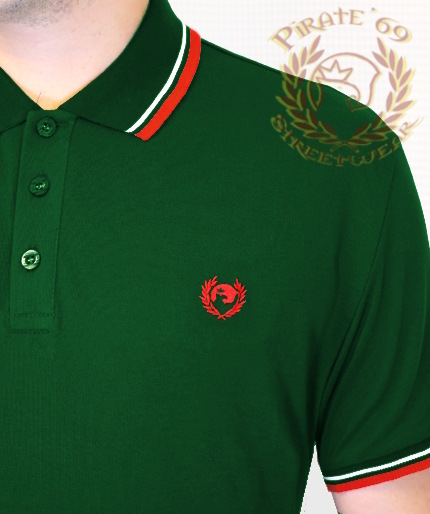 New SLIM FIT Fred Perry Laurel Wreath Polo Shirt. Orange with White and Blue trim. 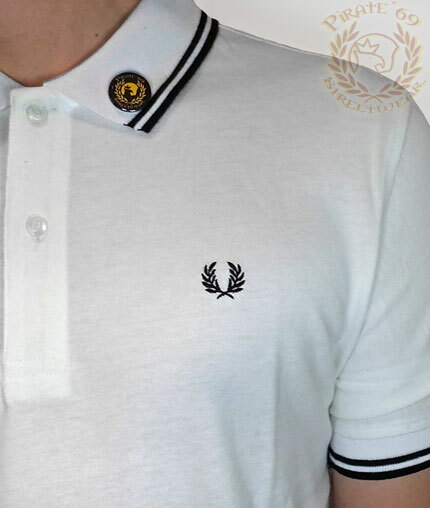 New M3600 Slim Fit Twin Tipped Fred Perry polo shirt, White with Black trim. 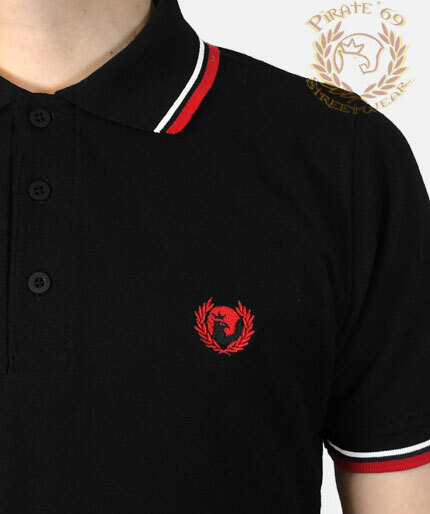 New M3600 Slim Fit Twin Tipped Fred Perry polo shirt, Red with white and black piping. 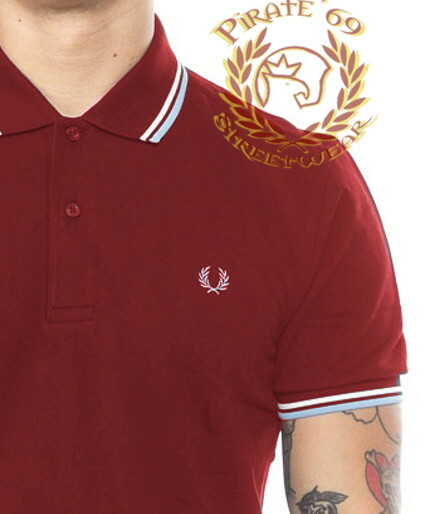 New M3600 Slim Fit Twin Tipped Fred Perry polo shirt, Burgundy with Navy and White piping. 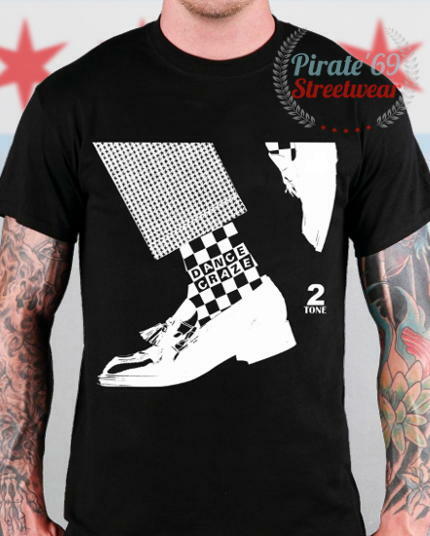 New British Ska Dance Craze 2-Tone T-Shirt, Black with White Print. 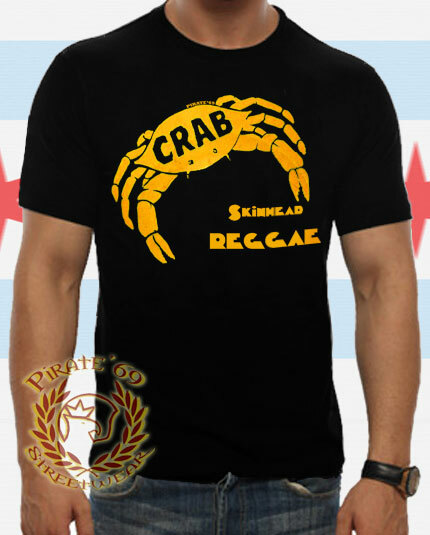 New Pirate'69 Crab Skinhead Reggae Black T-Shirt, Yellow print. 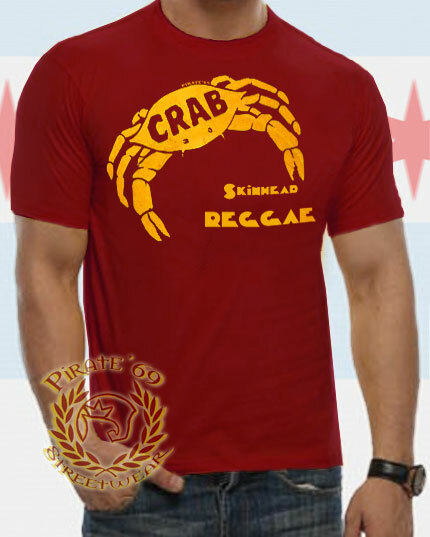 New Pirate'69 Crab Skinhead Reggae Burgundy T-Shirt, Yellow print. 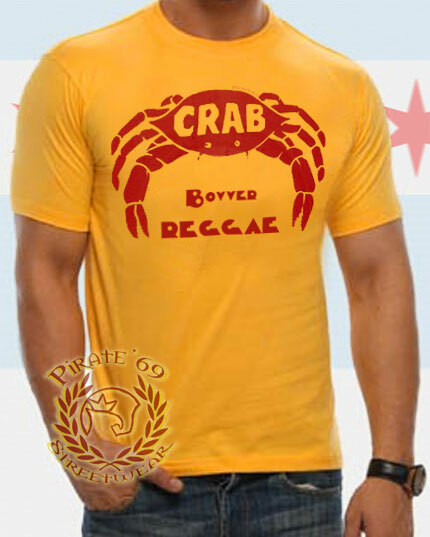 New Pirate'69 Crab Bovver Reggae Gold Yellow T-Shirt, Red print. 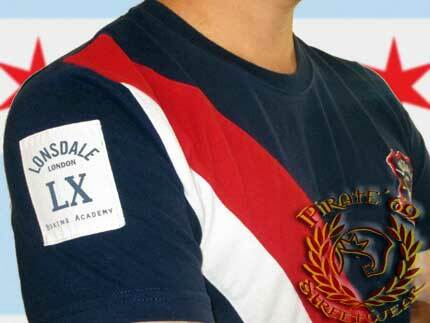 Lonsdale Navy blue t-shirt, Red and White stripes, emblem and sleeve detail. Size S (chest 22 inches). As New. 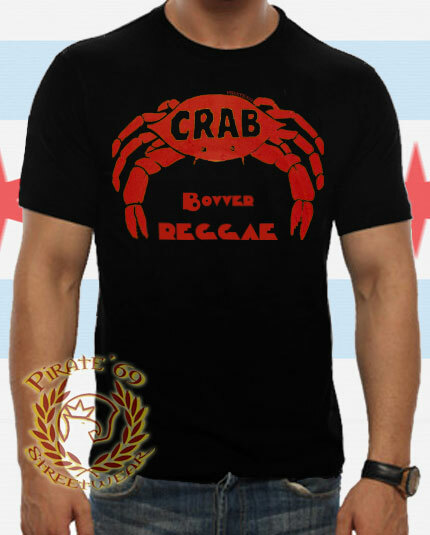 New Pirate'69 Crab Bovver Reggae Black T-Shirt, Red print. 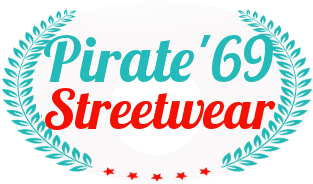 Pirate 69 Streetwear logo Slim t-shirt, Oxblood with yellow laurel logo and ska flag background (irregular print). 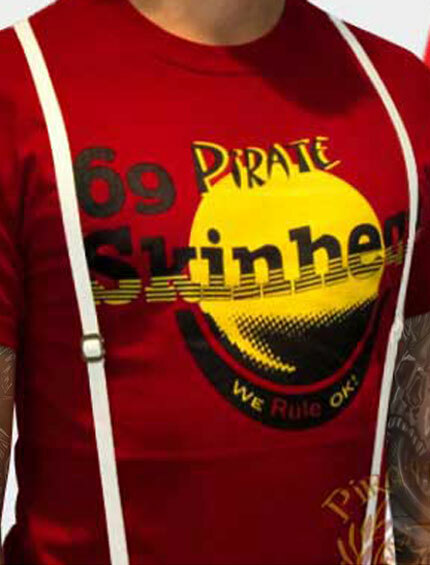 Pirate 69 Skinhead, we rule Ok! 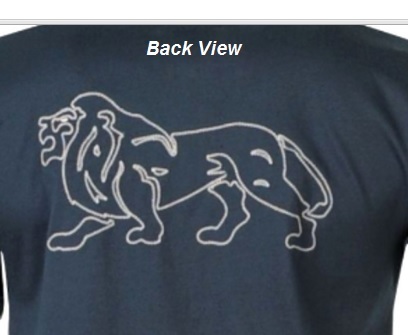 logo t-shirt, Blue with black and yellow print. 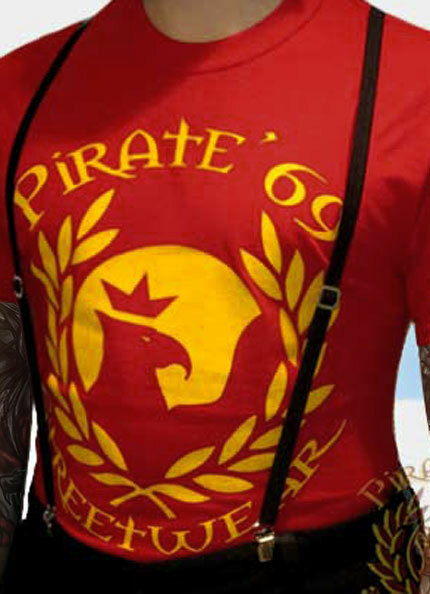 Pirate 69 Skinhead, we rule Ok! 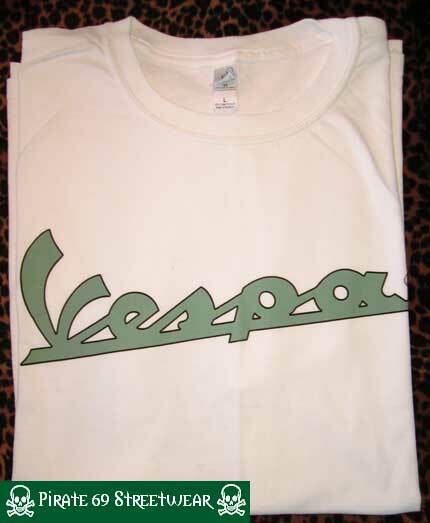 logo t-shirt, White with black and yellow print. 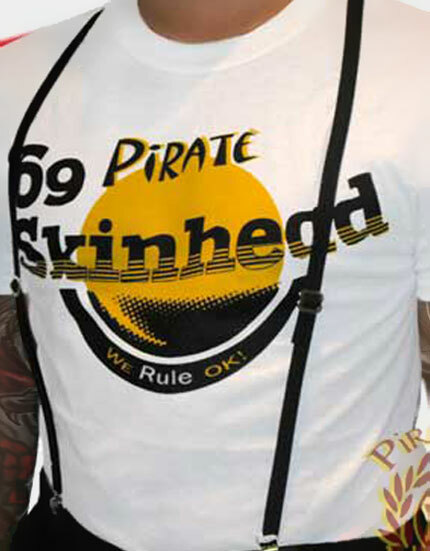 Pirate 69 Skinhead, we rule Ok! 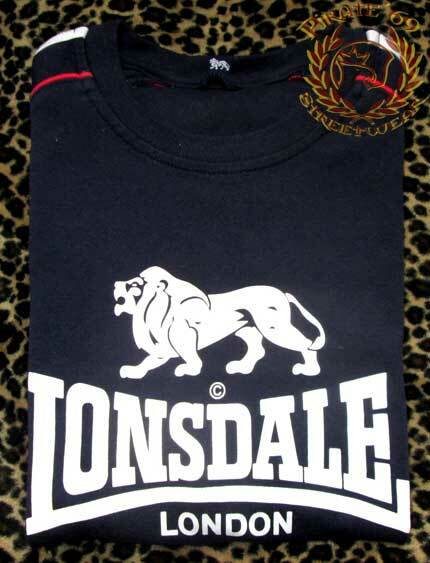 logo t-shirt, Burgundy with black and yellow print. 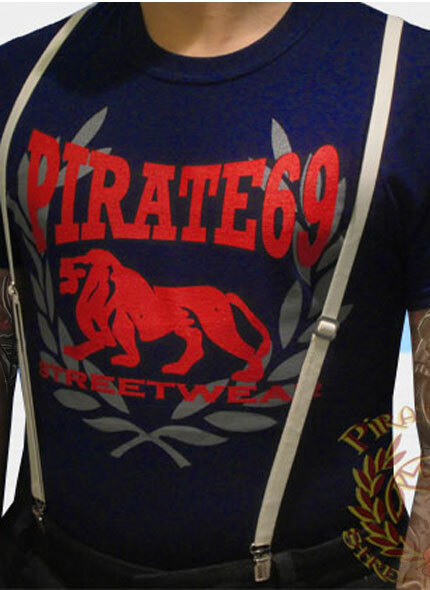 Pirate 69 Streetwear lion and wreath logo t-shirt, Navy with gray and red print. 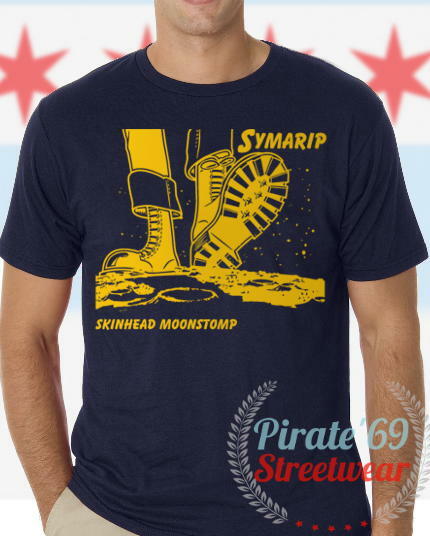 New Symarip Skinhead Moonstomp Reggae T-Shirt, Navy with Gold Print. New (Ben Sherman style) 'England' soccer t-shirt. Navy. 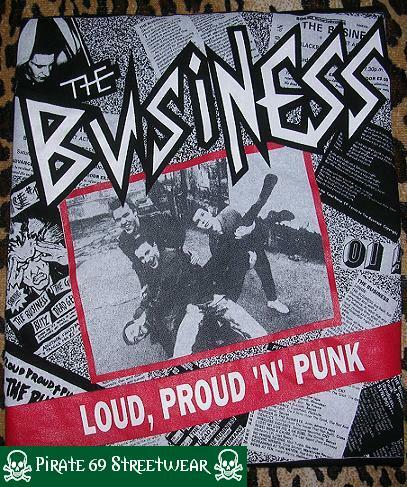 New The Business Loud, Proud and Punk black t-shirt. 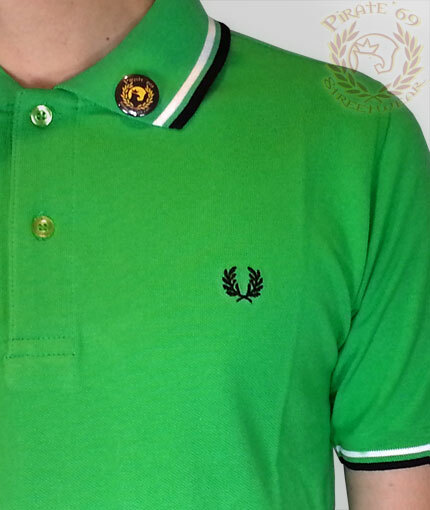 New M3600 Slim Fit Twin Tipped Fred Perry polo shirt, Green with white and black piping. 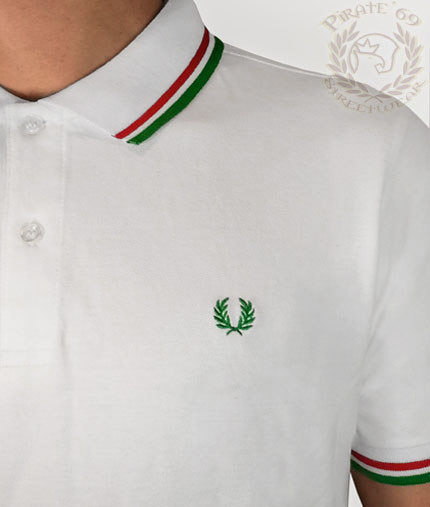 New Slim Fit Fred Perry Laurel Wreath Polo Shirt. Navy with Orange trim. 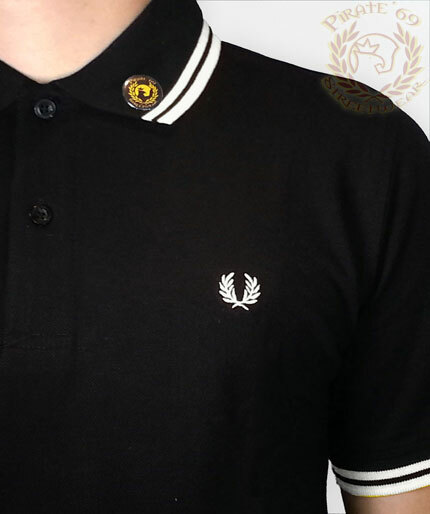 New M3600 Slim Fit Twin Tipped Fred Perry polo shirt, Black with White trim. 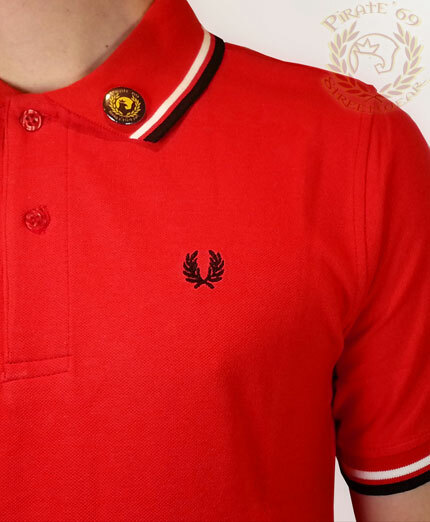 New M3600 Slim Fit Twin Tipped Fred Perry polo shirt, Gold with black and red piping. 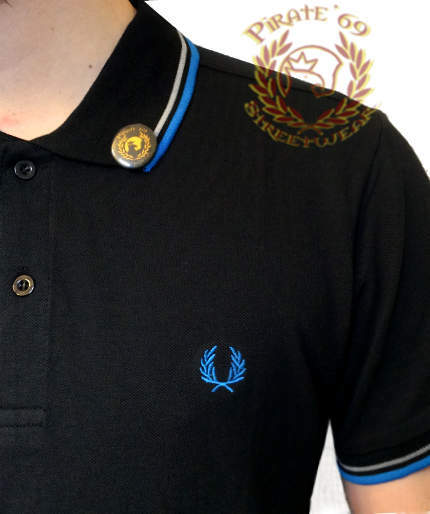 New M3600 Slim Fit Twin Tipped Fred Perry polo shirt, black with aqua and yellow trim..
New M3600 Slim Fit Twin Tipped Fred Perry polo shirt, Navy with Blue piping. 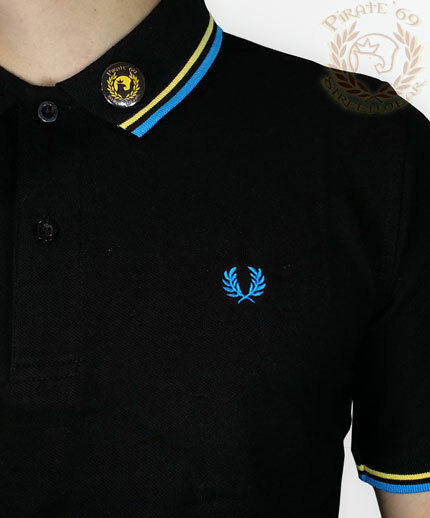 New, Made in England M12 twin tipped cotton piqu� shirt by Fred Perry. Navy / Gold / Gold. 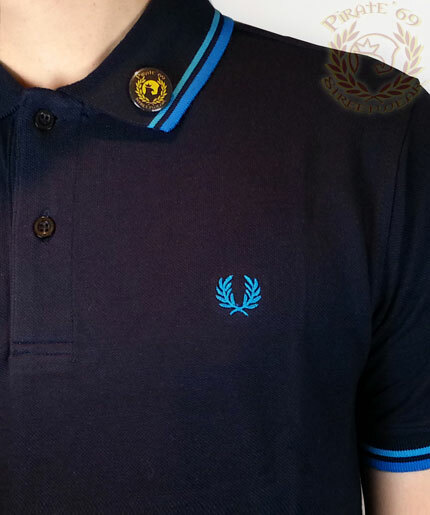 New M3600 Slim Fit Twin Tipped Fred Perry polo shirt, Navy with Blue and Gray trim. Request it! Send a message below . .